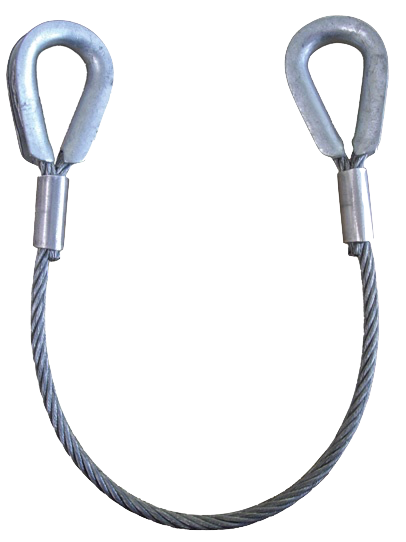 Liftall™ Wire Rope Slings are a 3/8″ thimble to thimble galvanized wire rope assembly. Made in the USA. 6 x 19, EIP, IWRC for superior abrasion resistance. Mechanically swaged, Flemish eye splice provides reserve strength should the sleeve become damaged. Tuff-Tag shows OSHA required rated capacities for improved safety.